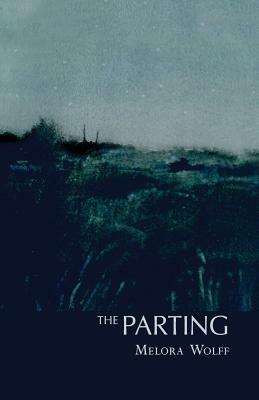 The Parting is a collection of one dozen prose poems and short fictions previously published and anthologized. These compressed, lyrical, and narrative works conjure quiet dream worlds of partings, transformations, and transmigrations. Invisible witnesses populate these half-familiar, half-illusory dreamscapes: Honey bees, foxes, milk white birds, ghost girls, water nymphs, lost infants, feral cats, and winged visitors haunt the shaded spaces of the living. The cover painting by Robert Valdes foretells the book's atmosphere of midnight blues. Melora Wolff grew up in New York City and received her BA from Brown University and her MFA from Columbia University. Her essays and prose poems appear widely in journals and anthologies, including The Normal School, Salmagundi, the Gettysburg Review, The New York Times, Best American Fantasy, The New Brick Reader, and Every Father's Daughter: Twenty Four Women Writers Remember Their Fathers. Her prose has received Special Mentions in Nonfiction from The Pushcart Prizes, several Notable Essay citations in Best American Essays, and the Thomas A. Wilhelmus Award in Short Prose. She lives and writes in Saratoga Springs, New York and teaches on the faculty of Skidmore College.